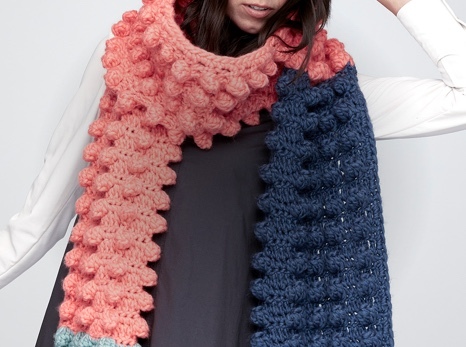 This easy garter stitch knit shawl’s asymmetrical design are beautifully showcased using Caron x Pantone. Approx 29” [73.5 cm] deep x 62”[157.5 cm] long. Make an easy garter stitch knit shawl which works increases at the outer edges and decreases in the middle to create a beautiful asymmetrical design. 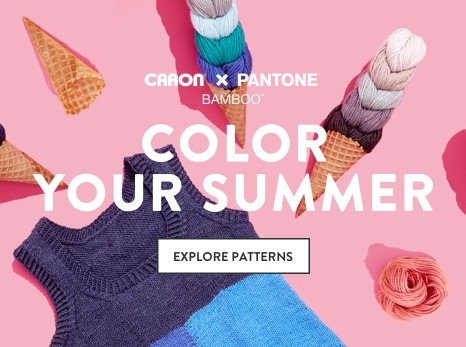 Caron x Pantone gives you the ability to make this shawl with 5 different shades using only one braid, include a neutral in between color changes to emphasize the asymmetry. U.S. 10 (6 mm) circular needles 29" (75 cm) long or size needed to obtain gauge.